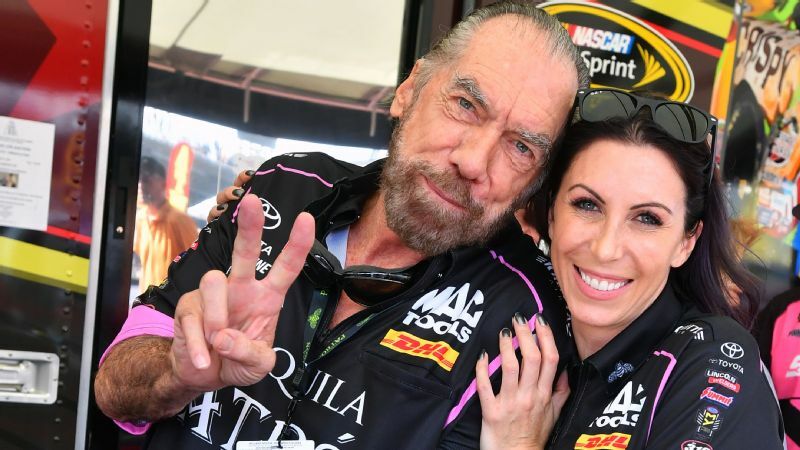 John Paul DeJoria, owner of Patron Spirits, is one of the sponsors of daughter Alexis DeJoria's free mammogram program. At 42, Randi Evans had never had a mammogram. But as a volunteer for a nonprofit that helps women obtain the breast X-ray, the Sherman, Texas, resident felt she needed to be a true advocate for the group. 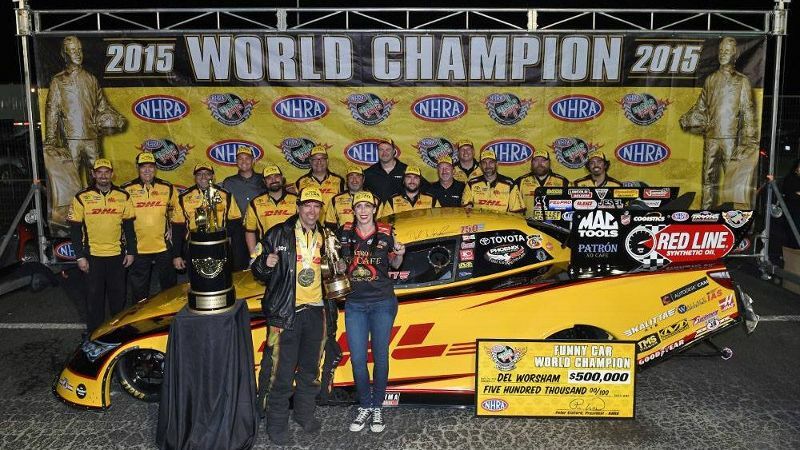 While volunteering with Women Rock at Texas Motorplex in Dallas earlier this month, she received her first mammogram, thanks to a program created by NHRA Funny Car driver Alexis DeJoria. 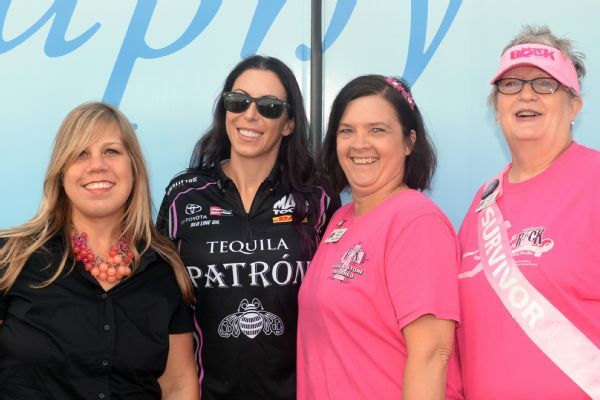 Started three years ago, "Free Mammograms for the Fans" provides mammograms at no cost to women attending an NHRA event in October, which is Breast Cancer Awareness month. "It was an amazing experience," said Evans, a librarian media specialist. "I am glad I've had a mammogram now because it opens up your mind and makes you realize how important early detection is. If I hadn't gone to the races to volunteer, I probably still wouldn't have had a mammogram." Left to right are Randi Evans, Alexis DeJoria, LuAnn Daniels and Janis Fletcher. Evans got her first mammogram this year via DeJoria's "Free Mammograms for the Fans" in Dallas. Now in its fourth year, the program initially was offered only at the Las Vegas NHRA event. Dallas was added last year, which means women attending those NHRA events on a Friday or Saturday in October can obtain a free mammogram. In the program's first three years, 335 mammograms were provided. During the Oct. 13-16 NHRA event at Dallas, another 55 were added to that total. The program's goal of 100 annually is expected to be reached this weekend at Las Vegas Motor Speedway's The Strip. 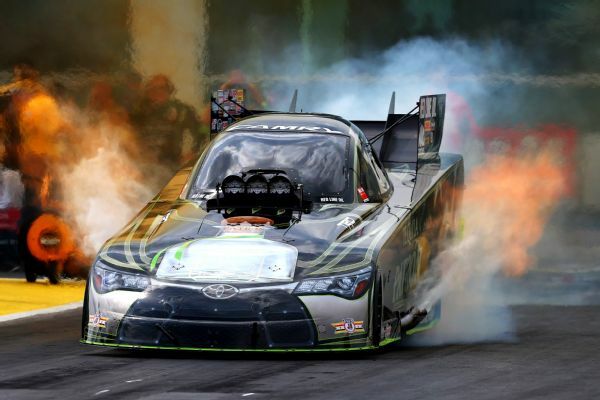 "Every October, we do some sort of pink theme for our car, our crew shirts and our starting line shirts, but we wanted to do something more proactive," DeJoria said of the program's creation. Today, the Baylor Health Care System provides the "mammovan" in Dallas, and Nevada Health Centers supplies the one used in Las Vegas. It doesn't cost anything to get the mobile units to the dragway, but DeJoria's program must cover the expense of each mammogram. She said that's about $276 per person in Dallas and approximately $300 each in Las Vegas. DeJoria's fundraising efforts for the program are yearlong. Last year, she had a "pretty bad explosion" during a run at Seattle, so her team auctioned bits and pieces of the car. Toyota Racing, her team's manufacturer, Patron Spirits Co. and Kalitta Motorsports also make donations. Sherry Fox, mobile account executive for Baylor's breast imaging, said she wasn't sure what to expect as far as turnout for the inaugural year at the Dallas NHRA event but was pleased with the results. "This is an unusual circumstance, being at the races," Fox said. "We have to have a minimum of 20 patients scheduled for a full day and 10 patients for a half-day. I think 26 [women on Friday] and 29 [on Saturday] that didn't even have an appointment is fantastic. I was surprised at the number of repeats that we had. We went to lunch one day, came back, and there were four or five women sitting there. Everyone is so gracious and appreciative." DeJoria said she was a "little concerned" in the program's inaugural year about how women would react to getting a mammogram while attending an event with a male companion or relative. "It's a very masculine-fueled event, and we were concerned that either they would be too embarrassed to do it or too fearful," DeJoria said. "Luckily, that was not the case. We had a great outpouring of support from the teams." That first year at Las Vegas, the mammogram van was parked at the end of DeJoria's pit. She spent her time between runs welcoming women, trying to make them feel comfortable, holding their hands and letting them know they weren't alone. Her father, John Paul DeJoria, attended the event and spent his time meeting the women. DeJoria's father owns John Paul Mitchell Systems (known for its Paul Mitchell hair care products), Patron Tequila and John Paul Pet Products. He attended this year's Dallas event and plans to be at Las Vegas as well. "A lot of women are hair dressers, so they recognize him, and that's a comforting feeling," DeJoria said. DeJoria believes the participation by the women connected to the sport has helped the fans feel more comfortable about getting a mammogram at the mobile units. 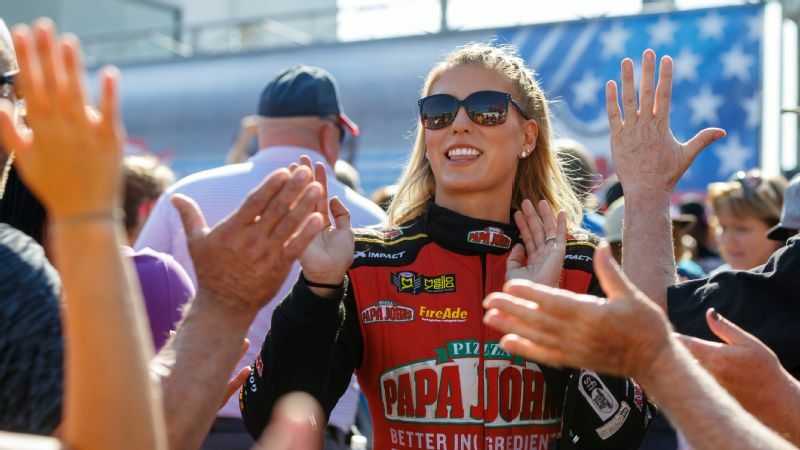 "When they see women from different teams going in there, like the wives of crew chiefs or the moms of drivers with their team shirts on, it's like everybody is in this together," DeJoria said. "I think the outpouring of support helps the women feel more comfortable in that moment. I have a few letters from women that have come from different states that found out that we were doing this, and they came to the races just to get the mammogram. It just shows it's not a fly-by-night idea. It's really working." DeJoria said sometimes the program's success can be a bit emotionally overwhelming. "In Dallas, I was signing autographs in between rounds on Sunday, and a woman and her husband came up to me," DeJoria said. "She said, 'I don't want an autograph. I just want to meet you.' She grabbed my hands, looked me in the eyes and said, 'I'm a cancer survivor today, and that's because of you.' I said, 'Wow!' I wanted to cry. I was trying to keep my composure. Her husband was almost in tears. "It was such a special moment. It's things like that that makes the world a better place. I love what I get to do, but also because of what I get to do, I can do things like this."